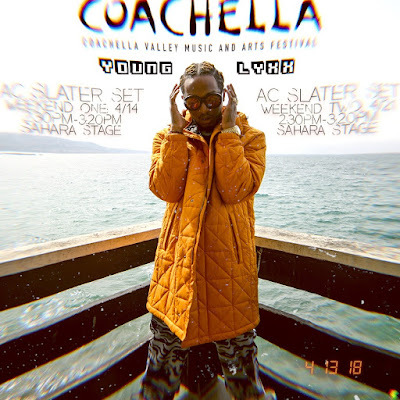 Young Lyxx is gearing up for one of his biggest performances of the year live at Coachella this year alongside legendary DJ AC Slater at the Sahara Stage for both weekends [4/14 & 4/21]. Performing both of their singles "Ring the Alarm" and their latest single being performed for the first time "Can't Come Down ". this is going to be a monumental moment setting the precedent for the many major moves on the way for Young Lyxx this year.